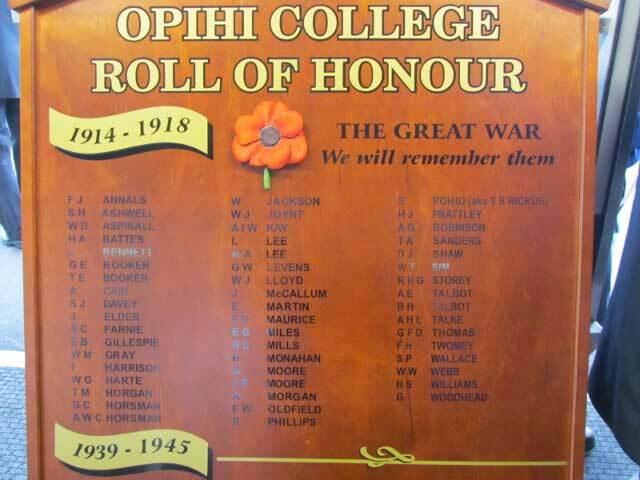 Son of Christopher & Amy Chamberlain Horsman of Otorohanga,. Native of Temuka. 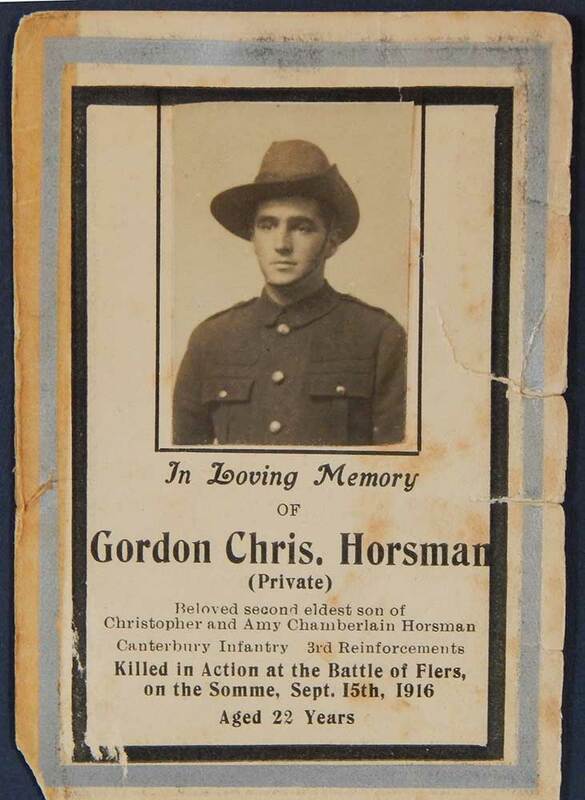 Stuart Horsman recounts (referring to the photograph in the accompanying notes): "Family history has it that Gordon was separated from his unit and was taken under the care of an Australian outfit. Hence the Aussie uniform including slouch. I believe this picture was taken in Edinburgh Scotland while on leave. 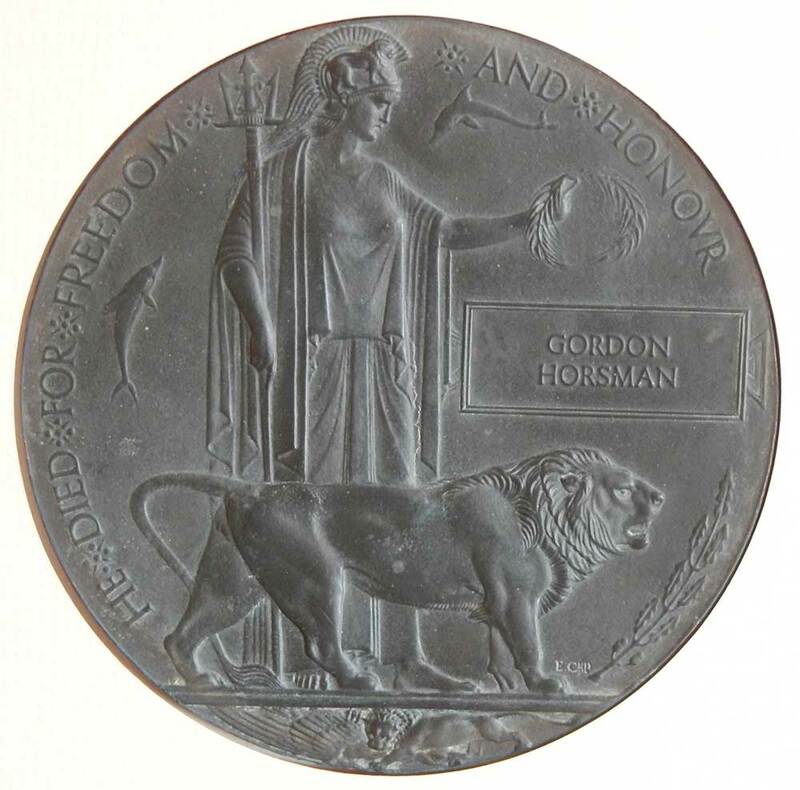 ...Arthur and Gordon [Horsman - both of which served in World War One] were my Dad’s brothers. 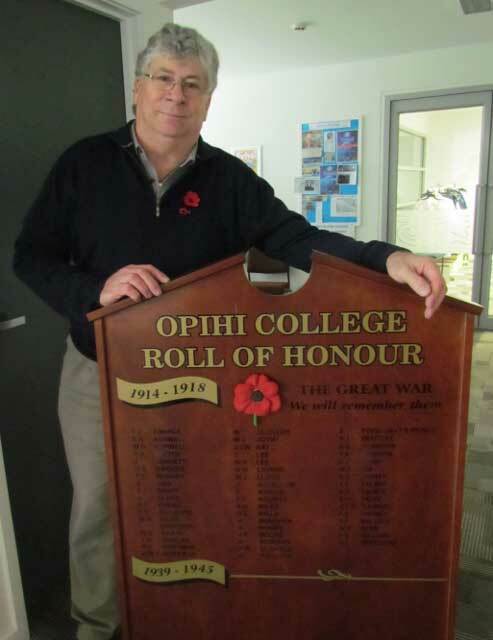 Both were born at Waitohi Flat, as was my Dad. 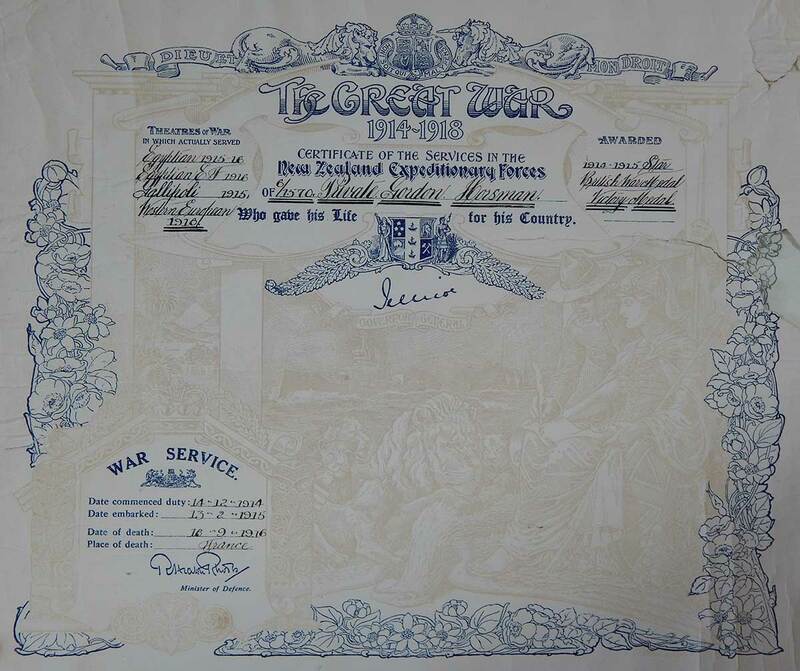 The family moved to Otorohanga in the King Country in about 1905, onto a 600 acre bush block. The first Otorohanga child was born in 1908, the last Waitohi Flat child in 1902, hence the 1905 guess. 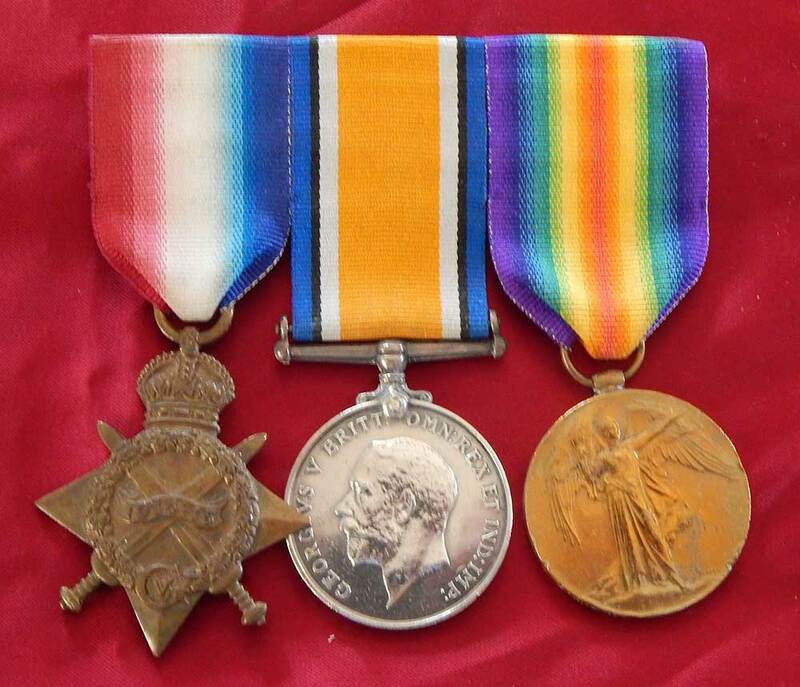 Both boys would have enlisted from Otorohanga."